It is a perfect blend of the corporate philosophys contents, which is a combination of beautiful body shapes and state-of-the-art technology. The appearance of this super sports car alone would clearly signal the arrival of something extraordinary: a very low and cowered-down body in combination with wide base tyres stand for abounding power and a highly racy vehicle to be expected. 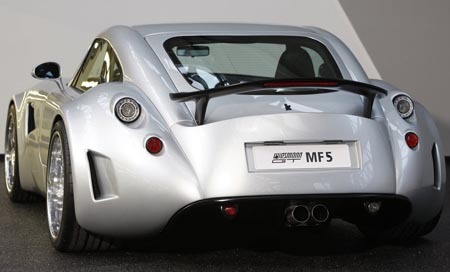 Wiesmann fulfils the desire of many a GT enthousiast, who had welcome the successful expansion of the Wiesmann model portfolio, and who, at the same time, had still wanted for the engine to become even racier. Dipl.-Kfm. 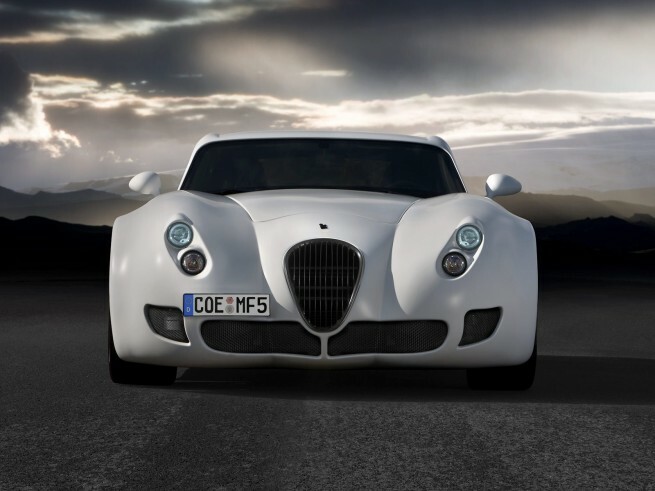 Friedhelm Wiesmann (business graduate), spokesman of the board, explains: Our intention is to meet these demands with the GT MF 5. 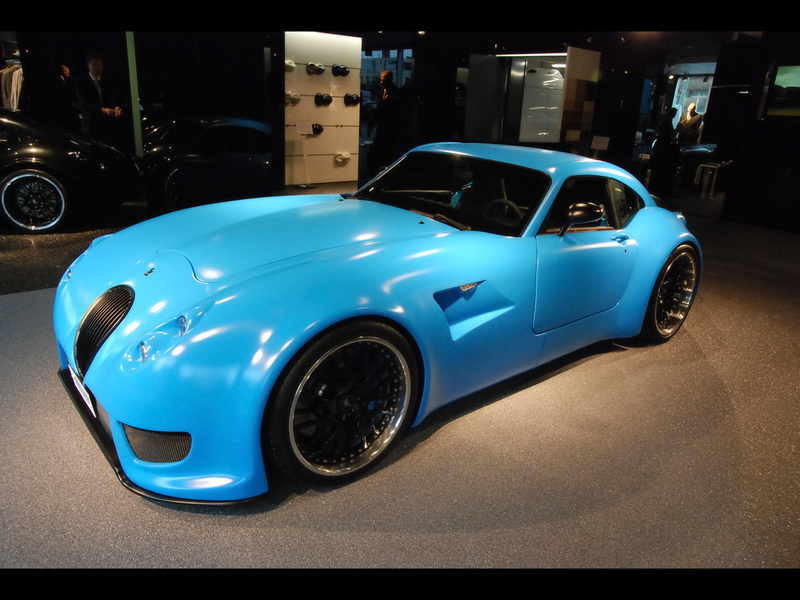 This new sports car tops off our porfolio of models, setting the new benchmark when it comes to the Wiesmann sports cars driving performance which is rather impressive anyhow. Dipl.-Ing. Martin Wiesmann (graduate engineer), managing director in charge of development and production, says: Compared to the normal GT, it is already the outer appearance of the MF 5 that would be outstanding: both a wing as well as a diffusor generate the necessary rear-suspension drive line, thus ensuring an excellent stability especially for those high-speed moments. A lot of effort went into the development of a high-performance chassis to make sure the MF 5 driver will enjoy the ride and yet will at all times be safe no matter what. The drive system of this super sports car comprises a 12:1 compacted V 10-cylinder front-mounted mid-engine with a cubic capacity of 5 litres boasting 507 HP which are generated by 7,750 crankshaft rotations. A maximum torque of 520 Nm ensures a powerful drive at all speeds and driving fun at its best. GT experts will immediately notice the lower total height (- 5 cm), the slight increase in width (+ 9,6 cm), and the increase in total length by 8 cm to 4.3 m compared to the MF 4 with a correspondingly bigger track gauge of + 10 cm (front) and + 9.8 cm (rear). These details are crucial for its very low centre of gravity and hence its good roadability.